Every day, it seems, the number of eBooks exponentially grows and we as librarians are dealing with the multitude of records that are needed for providing access to our users. However, most records need at least some editing and enhancement before even loading into the system. What is the best way to deal with all of these records? What do they need for the best access? What are the benefits and concerns with demand driven acquisitions for eBooks? To address these topics and more TEDSIG created a workshop for dealing with the technical services side of eBooks. 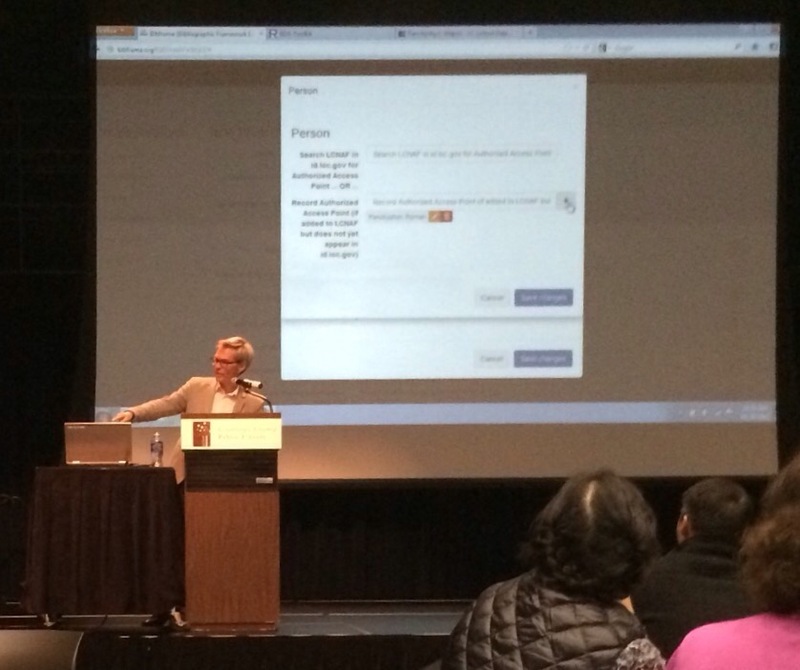 On May 29th, 2015, OHIONET hosted the ALAO Technical, Electronic, Digital Services Interest Group (TEDSIG) workshop “Escaping eBook Purgatory” which looked at eBooks from the technical services point-of-view. The morning began with 20-minute presentations. I started off the day by explaining how I catalog and provide OhioLINK record batches for our different vendors’ eBooks that are available to our members for local use. Next, Daphne Miller (Xavier University) shared her process and tips for vendor provided records, including what edits to consider making to them. Jeff Trimble (Youngstown State University) walked through the process of handling overlay records from multiple vendors. Wrapping up the morning session, Marty Jenkins (Wright State University) and Rich Wisneski (Cleveland State University) showed how to set up MarcEdit and pointed out several handy features including macros. During lunch, each of the presenters held a Birds of a Feather discussion table. At my table, we circled back to some points brought up in the presentations and I answered further questions about the OhioLINK eBook process and how the discovery layers fit in. The afternoon session began with a brief lightening round. Marty Jenkins (WSU) demonstrated how to manipulate a record batch in MarcEdit to find and remove unwanted records prior to loading into the system. Brittany Hayes (University of Akron) described what it is like being new to eBook loading and shared not only her advice for creating workflows and documentation but also passed around the room her color-coded tracking spreadsheet for loads. Jeff Trimble (YSU) talked about managing eBooks and technical services with a focus on demand driven acquisitions (DDA) of eBooks. Finally, Daphne Miller (Xavier) and I discussed considerations for planning and implementing DDA programs or projects. To conclude the workshop, Frank Bove (University of Akron) joined all of the lightening round presenters on a questions-and-anwsers panel, which became an open discussion among everyone in the room with the panelists weighing in. While it was a packed day that covered a lot of ground, everyone including the panelists learned something new from one another. At the end of the workshop, it was clear that if we are ever going to escape the eBook purgatory, it will certain be by working together to share our knowledge with each other. Metadata projects in three easy steps : where to begin? Rather than discuss cataloging solely, which is one specific type, this post will focus on metadata as a whole. The implications and advice will apply to broader projects as well as cataloging but I want to share what I have learned with my most recent project. Mainly, this post is about how to start a metadata project in three steps. First and foremost, is the creation of information about information, or metadata. Even before the creation, however, decisions must be made, namely what information is needed and how much detail? For example, someone wants to make a list of all their board games so the name of the board game is essential but then number of players and typical duration might be good to include for when friends come over to play games and want to decide on a game quickly. Usually metadata is readily available, such as the name of a board game on the box, so creating metadata in this case means collecting it. Whether it gets written down by hand or typed up in a document, this gathering of information is really the creation of metadata. But sometimes it isn’t as simple and easy as described, since many items lack identifiable information. What if the board game box is missing? Then the issue at hand becomes either best describing the item based off what’s at-hand or searching to try and track down the name and other information. Searching can be a large part of creating metadata and there are numerous ways to figure out the information that’s lacking: the Internet, other books or materials, asking others, and asking the persons it belonged to or were involved. If my friend made a new board game that I played with them, then it is likely I could provide the name and other information about it if someone asked me. In most cases, metadata can be created or found out in our tech-savvy, micro-connected information world. It might take time and searching and re-seaching since new information is online and discovered every second of every day, and new minds become experts that see and piece together information differently. But other times, using the best judgement to provide some semblance of metadata for the item at-hand is the only option available. This step follows hand-in-hand with the creation of metadata because organizing it is crucial to ensure consistency of a project. Metadata projects usually become large very quickly and need to be orderly to ensure that all of the wanted information is there for each item. All metadata must be in the same location, in the same format, and be as complete as possible. If the board game list was partially written down on scraps of paper in different people’s handwriting while the other portion was typed up on someone’s computer and someone else’s smartphone, how would anyone know if the list was complete before deciding on the game to play? Metadata must be organized to be meaningful. Today, placing metadata on a computer or in the cloud makes it readable and accessible but there are still various ways in which to organize it. Should the information be typed into a document, a spreadsheet, a database, a MARC record (for cataloging), or on a website made to house that type of metadata? This decision depends on the project itself. A board game list would suffice as a document but in order to easily sort the list by number of players, then a spreadsheet is a much better choice. If the list is for fun then a database is probably not needed but if it’s for a collection of every board game ever made (or Amazon’s warehouse of board games) then a database is the best option. Scale and use of the metadata should determine the organization of it. Another aspect of organizing is sorting. This also relates to the decision of what information is needed since categories will help ensure consistency. For a board game spreadsheet, three categories for the metadata have already been decided: name of the game, number of players, and typical duration of the game. The spreadsheet needs three columns, which would have shortened column titles, so Name, Players, and Duration; identifying the spreadsheet as So-and-So’s Board Games will allow anyone who sees it to know exactly what the spreadsheet is and means. Ensuring that the metadata is clearly marked helps those who work on the project to be on the same page, as it were, and others who see or use it to know as well. When organizing metadata, make sure to categorize information precisely and concisely. Depending on the metadata project, this third step will vary. How will the metadata be used? 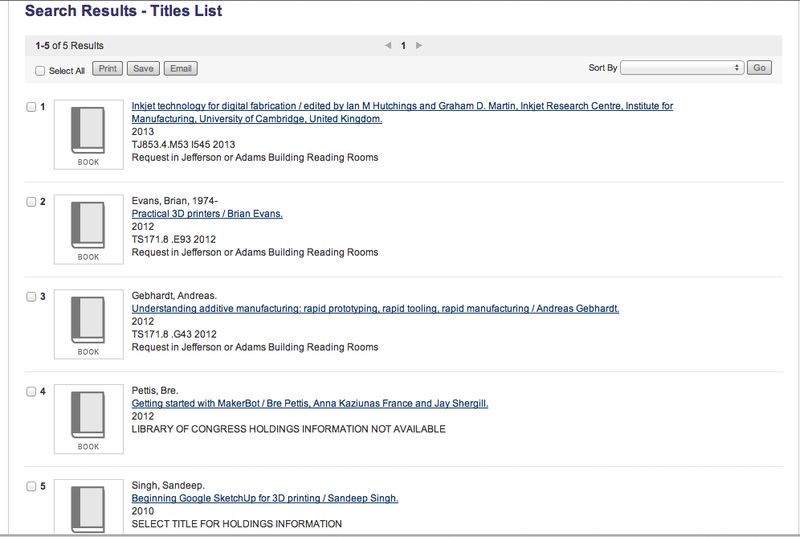 For cataloging, it is meant to be displayed and searchable by the library user in order to find materials, but not all of the metadata is shown because most won’t mean much to that user. Sure, the call number and title are helpful but the MARC record fixed fields and some local librarian notes are not but still must be included for system or librarian use. For the board game list, everything is viewable since there isn’t much in the spreadsheet and it is all relevant to the selection of a game. If information about when the game was bought and how much it cost or if the owner hated or loved certain games was in the spreadsheet, those columns could be hidden since it means something to the owner but they might not want it displayed to others. Besides concealing metadata not relevant to users, search engines and other company’s who provide databases and information on websites also conceal certain metadata, such as proprietary internal knowledge or processes. There is more than what meets the eye, especially when it comes to search results via the web or a database. Also, hiding some information might be way of protecting certain metadata that is meant to remain anonymous even though it is still connected in some way to the displayed information. As a physical application of metadata, let’s think about the President of the United States’ motorcade–of the five, or so, black SUVs driving to an event, the general public has no idea which one the President is in, although that metadata is know to a select few. This third step also invokes the how of displaying metadata. For the board games list, allowing anyone to view the spreadsheet themselves is probably fine since the list won’t be long and only has relevant information in it. However, for libraries and companies, displaying certain metadata and providing a means of interacting with it is a necessary chore. A library catalog that uses MARC record metadata can have settings adjusted to show certain fields to a library user, such as call number and title. The same is true for companies and their search results on the web or in a database. 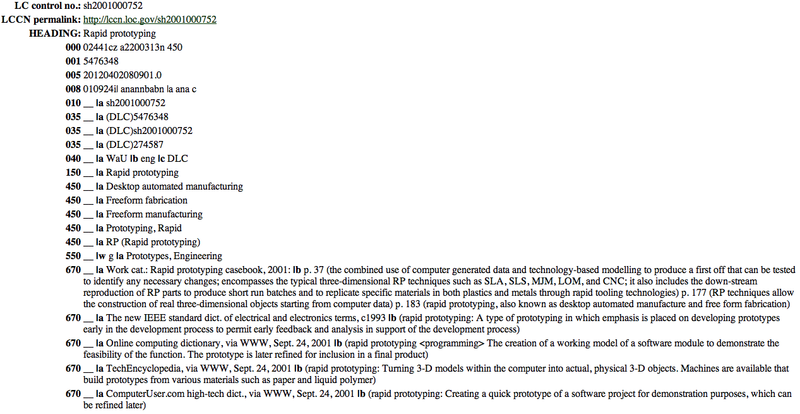 For someone beginning a metadata project from scratch, this would be more difficult without software to help. Libraries typically use integrated library system software while companies probably build software internally to have more control. Even before considering how to display metadata, the initial question should be does metadata need to be displayed? Not every metadata project needs to but it will depend on the purpose of the project and who the users will be. If it is meant for internal use to organize information and keep track of items, then a display component probably isn’t necessary but if the metadata project is going to be used by outside researchers and users then some form of search and display capability is needed so that they can use the metadata themselves rather than ask someone on the project for help getting information each and every time. Creating a display won’t be covered in this post but there are lots of possibilities and people capable in the world for setting something up. Why this blog post now, when I’ve worked as a cataloger for a few years already? In July, I began setting up a new metadata project for the website OpenCoverLetters.com which houses redacted, successful librarian cover letters. All of my knowledge of and skills for cataloging are being used but applied in a different manner for this project. This led me to think about metadata projects more broadly, especially when it comes to first beginning one. The real challenge is in deciding if a metadata project is needed, and then the rest plays out from there. I hope this post explains metadata further and encourages metadata projects, whether personal or professional. We all have lot of possible metadata projects in our lives that could be done but the question is which ones should be done? Priorities matter since projects like these take much time and effort to get started and keep going as new information and items become available. Upkeep is important as well. Which metadata projects will make the most impact, either in help locate resources or by provide new information of unique and rare materials? High impact ones are a must. For example, my dad’s antique book collection is at top on my list when I am home for the holidays this year–watch for that blog post in late December 2013, if all goes well. Good luck with new or continuing metadata projects! Comments Off on Metadata projects in three easy steps : where to begin? One pizza, coming right up! Made for you, by you, while you’re in space. 3D printers and printing have gained considerable attention, and rightly so, over the past year. Everything from DYI household appliance fixes to guns and how to regulate and control them, to the latest news in the past month: NASA funding 3D food printing, and pizza is up first. Really, if you were an astronaut, wouldn’t you miss pizza, too? At first this surprised me, being the consumer-minded American that I am. Of course people and companies create prototypes before building the actual, final item that’s for sale. It’s just something that I hadn’t thought too much about before. However, it made perfect sense that 3D printing is a narrower term since the printer rapid makes something that isn’t the actual item. Basically, 3D printing focuses on the act of additive creation of an object from a printer, whereas rapid prototyping encompasses the concept and reasons for it, with business and design concerns in mind. As the DIY, maker movement continues to grow, so will 3D printing. The machines themselves aren’t too expensive, considering, and will only become cheap in years to come. While every home, let alone person, probably won’t have one of their own, there will certainly be publicly available ones or people you can pay to produce you an item from their printer. Libraries are already starting to offer these capabilities, on a small scale–see the end of the post for more information, including my academic librarian friend who has a printer at her university! I love DIY (just check out my Pinterest boards) and making things from scratch, especially food, but I haven’t dabbled in 3D printing yet. 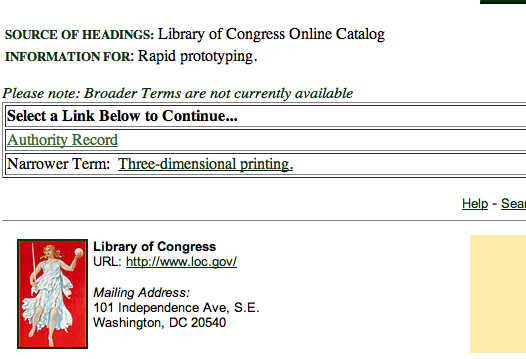 I’m sure it wouldn’t be too hard to convince my techie librarian husband that we need a printer to play around with. Truly, it’s all about learning the tech so that we can help the users when all the libraries have one. Right? 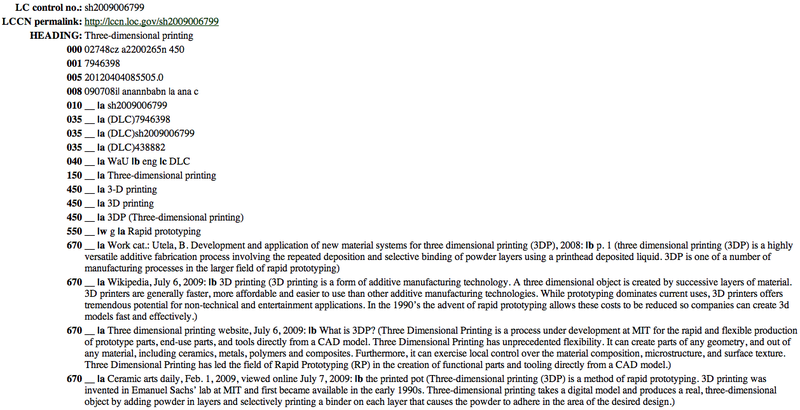 Want to know even more about 3D printing? This is such a hot, and growing, topic that is being talked about all of the time. My librarian friend Emily Thompson at SUNY Oswego helps students print research needs, such as a 3D snake skull. While I haven’t watched this TED talk yet, Lisa Harouni discusses 3D printing. Mashable will keep you up-to-the-minute with recent news stories in their 3D printing section. One episode of The New Disruptors podcast discusses the maker movement and 3D printing. I love this podcast, and just recently discovered it! Search the web and you will come up with tons of information. Check out YouTube for awesome videos, too! What a day! So much for taking it easy and not having so much on my list to do today. I ended conferencing for 12 hours, staying busy and engaged nearing the whole time. My plan was to be finished at 4 but things fall into place that you have to roll with sometimes! This morning began with a change of pace. My mother-in-law @Lorna_Librarian works ILL at the College of Wooster so Steve (@sxflynn) and I went to meet Rapid ILL to find out information for her. They were at a hotel as their home base rather than being on the exhibit floor since they are so specialized, serving only academic librarians. The service and support that they is amazing. Their goal is to provide ILL within 24 hours, and their current average was 13 hours! Most of that is due to electronic resources that some are nearly instantly filled but even print versions usually have a quick turn around. Though they are a small organization that is inside of the Colorado State University library, this is their benefit because they work with their users everyday and are bettering the software and know it inside and out because it what they use. Originally, they created the program after a flood when they lost all of their bound widths and half of their monographs and since then it continues to grow and expand. Very cool! Luckily, I made it back to the conference center in time for the LC New Bibliographic Framework Update. Roberta Schaffer introduced the session and speakers and said that the session was being recorded. It will be on up YouTube shortly and on the LC website after 6-8 weeks once they have closed captioned it. Beecher Wiggins gave an overview on what has happened since ALA Annual in Anaheim as far as committee work and moving forward. Reinhold Heuvelmann from the Deutsche Nationalbibliothek discussed their trial of Bibframe, touching on the difficulties, what they recommend for improvements, where they see this potentially going and its benefit, and how they are proceeding now to prepare for a linked data Bibframe future. Ted Fons, a Tech Evangelist at OCLC, then also gave his examples of what OCLC has done with linked data and Bibframe, and how a shift is taking place to a more agile, iterative system to get software out sooner and with continual revisions and releases. Part of the push to ensure that this is a long term standard is to use schema.org to utalize the web and linked data, gaining more clout in libraries and use of the resources that we already have by making them more findable in the internet. The purpose is the expose library data. At this point, I left for my lunch plans, knowing that the rest I can catch recorded. The three remaining speakers were Eric Miller, Sally McCallum, and Kevin Ford. However, with leaving early, I missed the official unveiling of http://www.bibframe.org but I caught it on Twitter. This is when Twitter and hashtags truly rock! After lunch, I hit the exhibit floor and ran into friends and people who know my co-workers. That is part of the beauty of attending a conference, you never know who you will see and catch up with. Or who you will meet! And now, I am recognizing people from past conferences and they are becoming conference friends. Plus, it’s always fun to meet those librarians who work with Safari MARC records that I create. They love meeting me and putting a face to the who is behind the product and making it run. One guy came up and said hi at another session later, already making a point to build our connection–awesome! Next was the all important RDA Update Forum that had huge attendance, over 200. This one wasn’t recorded and if I had planned ahead I would have brought my laptop to record audio since it was very detailed. That is one issue with sessions, you never know if it will be practical or theoretical, and even then if it’s actionable information or just informative; this was practical and actionable, and I wish I’d had my laptop. Sure I could have used the iPad but it would have been as good from the back of the room–this is my assumption since I’ve not tested iPad Mini recording against a laptop’s. Again, Beecher Wiggins gave the RDA update since last Annual. The final RDA update rewording/rewrite is wrapping up after a few chapters were reviewed and okayed. He also mentioned the http://www.bibframe.org launch. 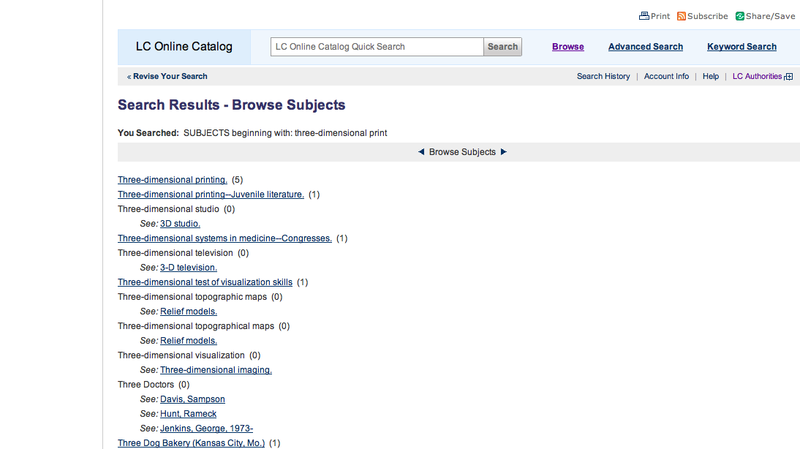 LC have 150 training resource available online for use, just give credit to them. All their staff training will wrap up around March. Next, Troy Linker from ALA Publishing talked specifically about RDA revisions and publishing a new version. RDA Toolkit’s latest improvements was a main portion, pointing out in particular RDA MARC mappings, auto sync table of contents, global and local workflows, videos and tutorials (part of the free section on the toolkit), their blog with first Tue of the month announcing change and second Tue implementing it, and a new print edition out around mid 2013, among other things. Also, there is an Essential RDA in the works, similar to Concise AACR2, that’s meant to be a practical guide and live outside of the toolkit. John Attig from the JSC gave his updates. He walked through the revision process that they did in November at their meeting. CC:DA and JSC websites discuss the changes for RDA and Fast Track keeps a history of all of those changes. Phillip Schruer, a PCC chair, covered PCC and RDA, talking about RDA BIBCO Standard Record, different task groups that have progressed to reviewing recommendations and comments on their reports to create a final version and guidelines. Three in particular focused on hybrid records, access points for expressions, and relationship designators and will be out in a few months. Undifferentiated names are a new focus now but they are still working on it. He also mentioned RDA PCC decision tables. Finally, Cynthia Whitacre from OCLC gave a brief summary of the new RDA policy and how records will be treated in OCLC. They plan to be very open and informative about when they make global changes, doing it piece by piece rather than whole records. In the Q&A, new to me, she mentioned OCLC working on a new bib notification that is very customizable and based on your holdings–no name at this time. I need to find the slides because of all the information convey, especially the very detailed field and subfields changes that are difficult to type everything out. There was a lot of great, useful information provided; a lot to take in! Surprisingly, RDA ended early. I guess they expected a hour of questions but not many people asked. So with time to spare, I headed over to the Collection Management and Electronic Resources IG. Since it is newish and their leadership fell through, it ended up being an open discussion about ERMs. Very fascinating, not having dealt with them. Apparently there isn’t one perfect software to do everything so based on your institutions needs, and funding, there are multiple things necessary to management the data and other documents for electronic resources. Part of the initial challenge is gather the info but a major hurdle can be all of the data entry. There was a lot of interest in the group and they are look for a chair and vice chair so let me know if you are interested because I have their contact info! Not having had enough fun for the day, I hit up on last session to satiate my curiosity–the Digital Humanities Discussion Group. This had huge turn out for what the organizers originally planned. This began only at Annual Anaheim last summer and now they are trying to make it an IG due to the interest and growing area and need for it. The session was, similar to my previous, an open discussion about several topics: data and alt-metrics, retraining, digital humanities space. Many people talked about their work and projects, or the challenges faced with beginning, as well as how to proceed as professional librarians. Do we need to change the perception of us as specialists, experts, and end points to being experimenters and explorers along side faculty members? Does buy-in need to come from tenured faculty, newly hired, newly tenured, grad students, or those already using tech, OA, and DH who might be more receptive and interested? Though provoking stuff! Can’t wait to see what these librarians put together for Annual in Chicago! They have a blog and a Twitter @DHandLib–they live tweeted so you can follow the gist of the meeting. While eating said chowder, we noticed a Thompson Reuters Customer Reception going on next door. And librarians were still going in! So we headed over, Steve being a customer himself, and met some great people, had drinks, food, and collected our first tile. Apparently this is a big thing, and some have attended for 20 years so they have quite a collection! Who knew!? By 9 p.m., we were back to our place. So much for my plan to not do as much. The thing is, once I get to conferences, I always want to do and see what I can. Being curious also keeps me seeking out topics of interest, or speakers that I want to hear. And ALA sure provides a great selection for no matter what type of library you work for or what your role is. If you are willing to do it, there is always something new or more to learn, and people to meet who are just excited (sometimes if not more)! Making connections is always fun. Especially when you run into again at later ALAs. That’s one of the benefits of returning. Tomorrow I promise myself not to do as much. Maybe. 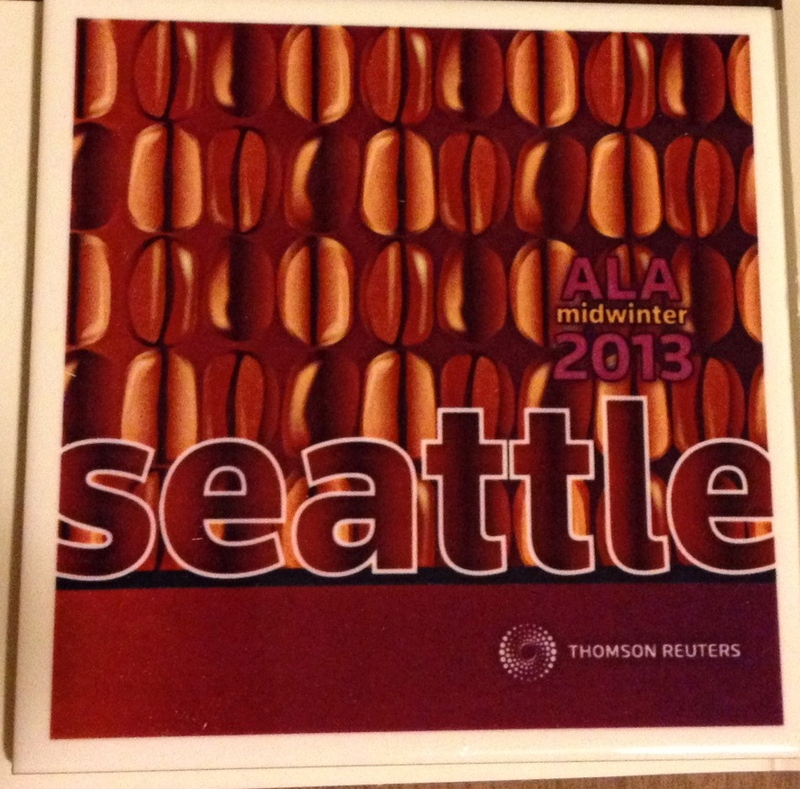 Sitting in Seattle right now, it is still hard to believe that ALA MidWinter is upon us–even having spent the day conferencing all around the city. Though enjoying seafood and 50 degrees, despite some drizzle, is enjoyable! This is my first MidWinter but it is just as crazy and bustling as Annual, it seems. As co-vice chair for the Cataloging Norms Interest Group, I helped with our panel this morning and it had 60-some people attend. And that’s for MidWinter. It amazes me that thousands of librarians turn out for this mid-year event, though it shouldn’t because it seems to be gaining in size and clout each year. Today, I attended four sessions, though two were closely related. That is a lot in one day for a conference. Cataloging Norms IG started off my day with two distinct presentations that dovetailed each other nicely. The first speaker, Harold Thiele, gave an in-depth look into the history and beginnings of cataloging, starting with Mesopotamia and Sumer up through RDA. He discussed how title main entry slow progressed and evolved to the form that we know in AACR2 and how with RDA the approach is more with its lack of main entry as we know it. Maura Valentino discussed the 21st century, focusing on metadata beyond that of description and how it affects workflows and process. Though very different, the two talks paired well together and truly gave a complete picture of how far cataloging and metadata have come. The Catalog Management Interest Group focused on managing catalog workflows, content, metadata, and prepping for RDA field displays. This ended being a more practical session that I first anticipated. Sherab Chen spoke about his new role as an e-resource manager, focusing on personnel tips and his lessons learned so far. He balanced his talk well between a no-nonsence, realistic approach and having an optimistic, can-do attitude despite all of the work and problems that such a job entails. Next, Jessica Hayden covered demand driven acquisitions within an consortial environment. Not having worked in such a setting, I am fascinated by all of the collaboration and discussions that must go on in order for a consortium to function well, and yet there are myriads of benefits to such a arrangement. Also, the distinction of what is done at the consortial level versus local can create either more roadblocks or paved ways, depending on the situation. Sarah Beth Weeks, however, gave my favorite presentation due to her topic of using Google Refine to clean up data in the catalog. For a cataloger, the chance to provide more access and an easier search for the patron to find what they are looking for is the main goal that we all strive to achieve. At their college, rather than amend specific MARC fields to make them all uniform, they added the most common form of a term as a 9xx field for better access. Finally, Roman Panchyshyn closed off the session with his testing of RDA catalog display and how to best make it work for the patron. The 3xx, no surprise, were the oddest and trickiest to work with of the new fields. Since the 264 has a 2nd indicator to help define it, those were easier to display, as were the 502 field labels after a wording tweak. Next month, he will send of his recommendations, basically what he presented at the session, to Innovative in order to get their ILS to display RDA records and fields how they want them, and ensure that they are included in indexing for search results. After a great lunch break–ALA plans out 1.5 hours over the lunch hour, thank goodness, for no sessions–a back-to-back linked data two part session began. The first hour was informative. Some of it I had heard in Anaheim at Annual but it was a good refresher and parts of it were new information, or said a different way. Eric Miller, president of Zepheria, discussed linked data, tying git in a little bit to Bibframe. Mainly he covered the underlying structure of linked data and why it is an important task to take on as a library community. If all of our libraries were linked data, search engines would include our books and items in the top results pages, allowing users more access especially if they begin their research in the web. Next, Richard Wallis from OCLC talked about all the different projects that they are a part of concerning linked data–mainly VIAF, FAST, Dewey Classification, and now WorldCat linked data. They hope to create a large, more prominent presence on the internet with library data, and are setting an example for member libraries. It is true that if all of the libraries work together, we could make a huge splash in online metadata and set president for all who are part of the web; we have the specialized knowledge and wonderful data, so we just need to make it accessible openly on the web through links that bring users back to the library websites and catalogs. During the second part of the linked data session, two librarians showed the small-scale projects that they completed using linked data. Both approached the idea differently and created two unrelated yet amazing projects. Violeta Ilik linked her universities math department in Viewshare, allowing for new connections and analysis to be done on the faculty itself, including gender ratios and research areas. One of the coolest part of her data ended being the PhD. location of all the faculty, which displayed on a map. Jeremy Myntti used Viewshare for an entirely different purpose with a whole other type of data. His institution has an online collection of animal sounds recorded in several states. To get even more out of the data, he loaded certain information into Viewshare and was able to display not only a map of locations for the sound recordings but to show pie charts that broke down the kingdoms and genus. The link to the recordings for each animal was included so that a person could click and follow the link to the website with the player on it. Both Violeta and Jeremy said the from start to finish, their projects took no more than 1 hour to create the linked data. Though these were fairly small scale, the implications and ease of linked data are amazing to consider. What a day! I love attending sessions that sound interesting and I always yearn to learn more while at a conference. That’s why I am here! However, there gets to be an overload point if you pack too much in, especially if you aren’t used to it. Thankfully MidWinter is slightly shorter in the sense that there aren’t as many sessions, so I can conference a bit harder today and tomorrow knowing that Monday will be fairly sparse and Tuesday I fly out before the crack of dawn. Of course there is a subject heading for “hurricanes”–just stick with me. For the past few days, especially yesterday and today, Hurricane Sandy is the topic of the media and many people’s conversations. It has surpassed the 2012 presidential election, for the time being, and that’s under a week off. In Michigan, we are seeing some of the effects as it is cold and very windy, though nothing compared to New York, New Jersey, and other states. Some Michiganders had snow this morning but only sleet was on my windshield and the rain here has been off and on. Hurricane Sandy, a.k.a. superstorm or frankenstorm, lost some of her gusto when she hits the Canadian cold front so now she is a post-tropical cyclone or, more colloquially, a nor’easter. However, before her name change, I looked up “hurricanes” on LC Online Catalog, since even though LC is closed, their website is still up! 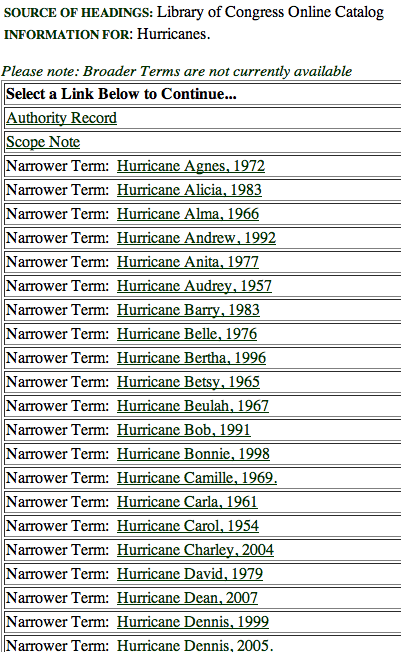 Did you know that named hurricanes have their own subject headings? I don’t catalog works on hurricanes, so this was news to me. It makes perfect sense. And the list goes on! This is only part was through the Ds, so check out the LC Authorities File Online to see the rest. Besides getting a scope of how many hurricanes are written about individually, the notes in the “hurricanes” authority record are priceless and fascinating–take a look below. 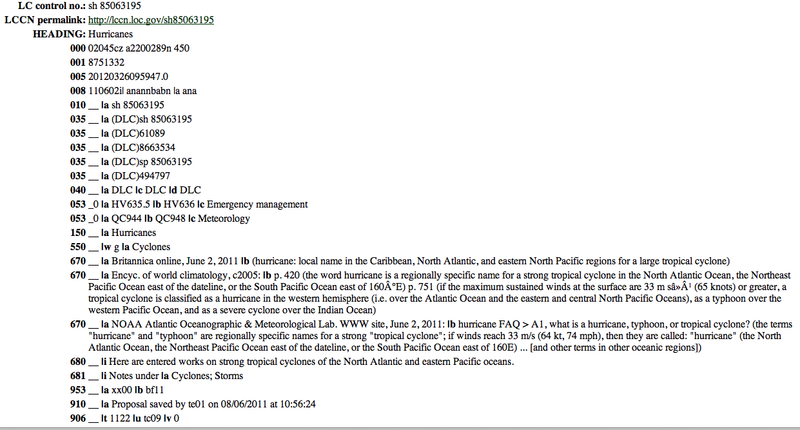 And a closer screenshot of the notes that describe hurricanes. Enough to be helpful in knowing what storms are termed hurricanes. Sandy will likely get a narrower term under hurricanes as well, since she’s been, unfortunately, a massive and in some cases record-setting storm. Not to mention the fact that she way-laid the final week of political campaigns for Romney and Obama. However, her authority file will likely have a scope note that explains her changes in nomenclature, as well as references to her other names. Frankenstorm was the best, by far, considering her timing. This past Saturday at a Halloween party, one guest showed up in jeans and a tee wearing a name tag that read “Frank N. Storm”. Another fairly recent hurricane that stands out is Hurricane Katrina. 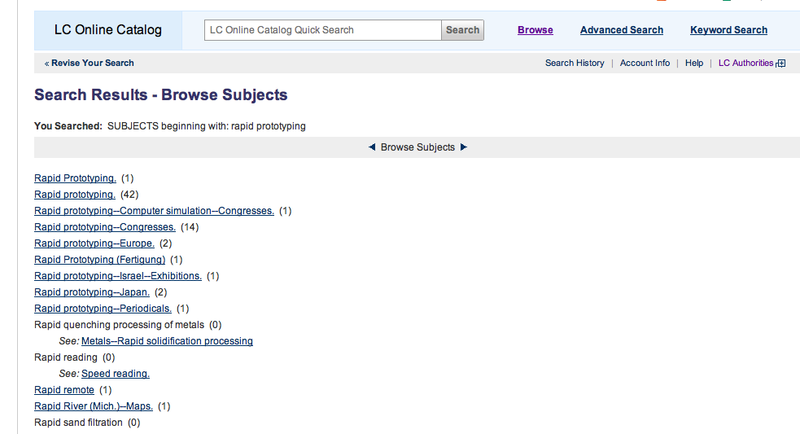 Searching subject headings in the LC Online Catalog, there are many topical sub. heads, and some that I never would have guessed. Here are a few of the ones that caught my eye: Hurricane Katrina, 2005–Computer network resources, Hurricane Katrina, 2005–Juvenile sound recordings, Hurricane Katrina, 2005–Prayers and devotions, Hurricane Katrina, 2005–Press coverage, Hurricane Katrina, 2005–Songs and music. The single most interesting, for me, was Hurricane Katrina, 2005–Comic books, strips, etc. This is cataloging lingo for graphic novels, lately anyway. Graphic novels rooted in history can be amazing and present a different type of entry point into those events. Persepolis, and Maus are two of my favorite books, and I am not a reader of graphic novels. They both were assigned readings in college. So that makes me want to look up these two, particularly since I lived during the time of Hurricane Katrina. Perhaps they will make to it my bookshelf and onto my other blog as reviews. For now, stay warm and safe, no matter where you live. And keep everyone affected by Sandy in your thoughts!